Born at L’Assomption, Quebec on 30 March 1856, son of Narcisse Bleau and Josephine Laporte, he was educated at L’Assomption. He commenced a career as a lumberman, later in the hotel and grocery business. He came to Manitoba in 1878 and, five years later, founded the hardware business of Allaire and Bleau, at St. Boniface. 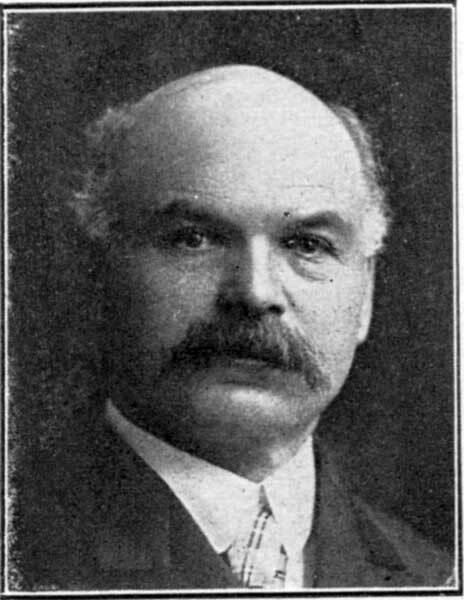 He served several years as councillor for the City of St. Boniface, later being Mayor in 1902, 1908, and 1910. He ran for the Provencher constituency in the 1911 federal general election but was defeated by J. P. Molloy. On 24 June 1886 he married Marie Agnes Clement (1862-1934) of Pembina, North Dakota. They had ten children: Joseph Paulin Telesphore Bleau (b 1887), Alfred Bleau (b 1888), Adolphe Fereol Bleau (1890-1893), Marie Agnes Bleau (1892-1892), Joseph Aime Marius Bleau (b 1893), Marie Antoinette Leontine Bleau (1895-1978), Alexandrine Annette Bleau (b 1896), Marie Albina Bleau (b 1897), Marie Berthe Elodie Bleau (b 1899), and Jean Marie Joseph Norbert Bleau (1905-1983). Independent Conservative. Roman Catholic. He died at St. Boniface on 29 March 1923. We thank Lucien Bleau for providing additional information used here.